Farm Fresh Veggies All Winter…Who Knew? This Cute Dude Says Happy Halloween! Kitchen Scale: Useful After All! Farm Bulletin: It's Time to Ramble! It's not hard, looking at brewer John Harris, to imagine him as a 10-year-old, laying on his back in the grass gazing up at the stars shimmering in the blackness of the night sky. It's not just his boyish looks that make this leap so easy, especially when he starts explaining each of his beers is named after a different star, moon or astronomical phenomenon. Or that the looping design of the lighting system above the dining room reflects the path of the sun as observed from the dining room, a figure eight shape known as an analemma. 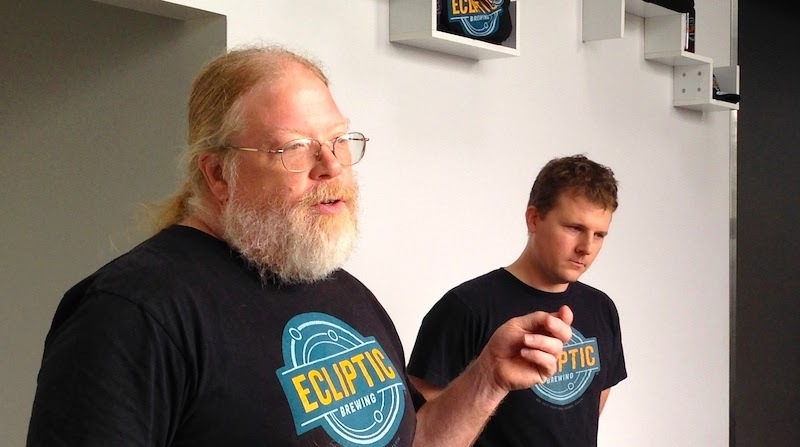 Of course, he had to give his brewery an appropriately spacey name, too, and chose Ecliptic, the apparent path of the Sun on the celestial sphere. Mussels steamed in Spica Hefepils. But in the two years he spent looking for a building after quitting the job he'd held for 20 years as Brewmaster at Full Sail Brewing, he also knew he wanted more than just a typical brewpub to serve his—and this is no exaggeration, since we're talking about the guy who created such iconic Oregon craft beers as Mirror Pond Pale Ale, Black Butte Porter, Obsidian Stout and Jubelale—exceptional lineup of beers. Not for him the usual pub menu consisting of half-hearted hummus plates, hamburgers or pizza. He went looking for a chef who could create a menu that would measure up to the exceptional quality of the beer he was making, who would be as committed to the quality of the ingredients in the food as Harris himself was to the ingredients going into his beer. 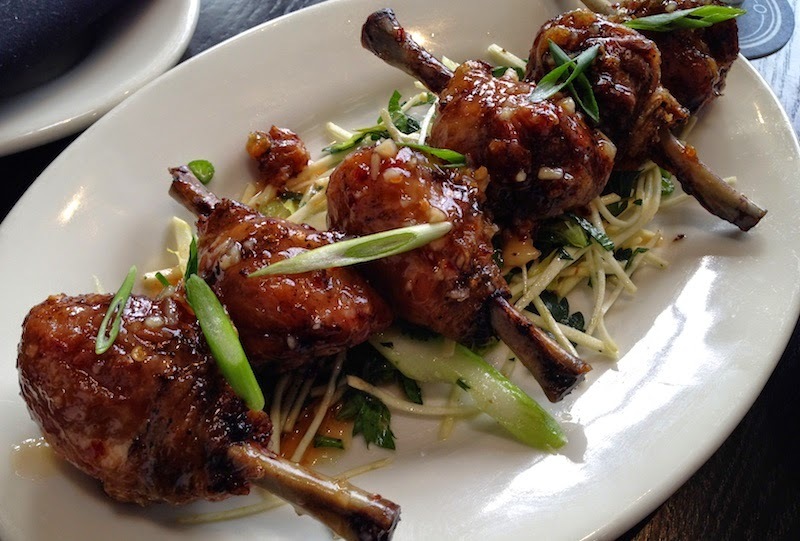 Confit drumsticks. In a pub. Yowza. 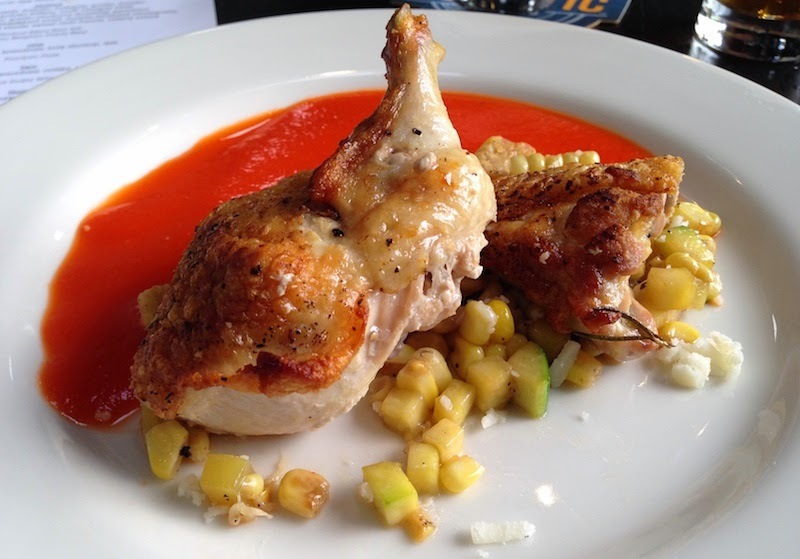 Pan-roasted chicken with red pepper vinaigrette. While not hoity-toity in execution—this is food meant to go with Harris's hearty Northwest microbrews, after all—it is exceptional in that it's far more than breaded, fried and (heavily) salted pub grub. Take, for instance, the appetizers presented at the tasting mentioned above. Yes, they do have fries, but these are thin, crispy and served hot with aioli. 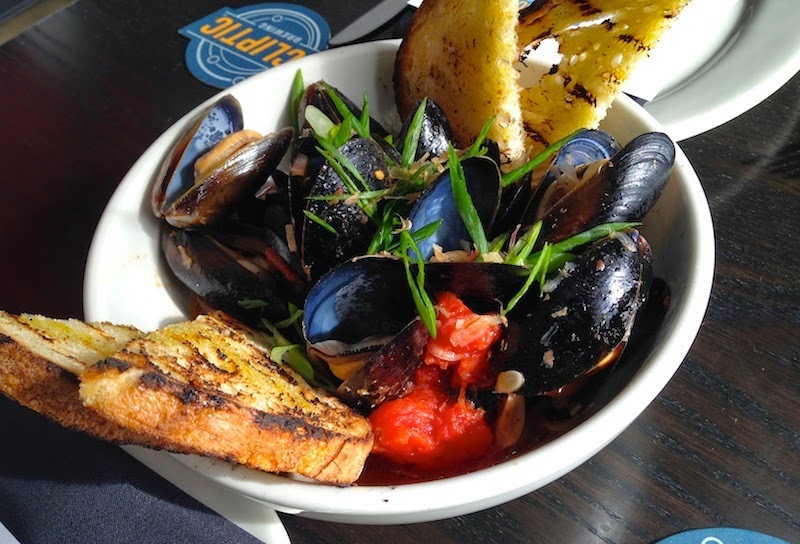 The mussels are steamed in roasted tomatoes and Spica Hefepils, then topped with shaved bonito. There's a choice of a Caesar-esque romaine and treviso salad overlaid with a slice of pecorino or an endive, asian pear and Camembert salad with a maple-mustard vinaigrette. Instead of the ubiquitous wings or fish and chips, you can have light and heavendly salt cod fritters or a plate of confit drumsticks with sweet chili sauce. Pinch me! 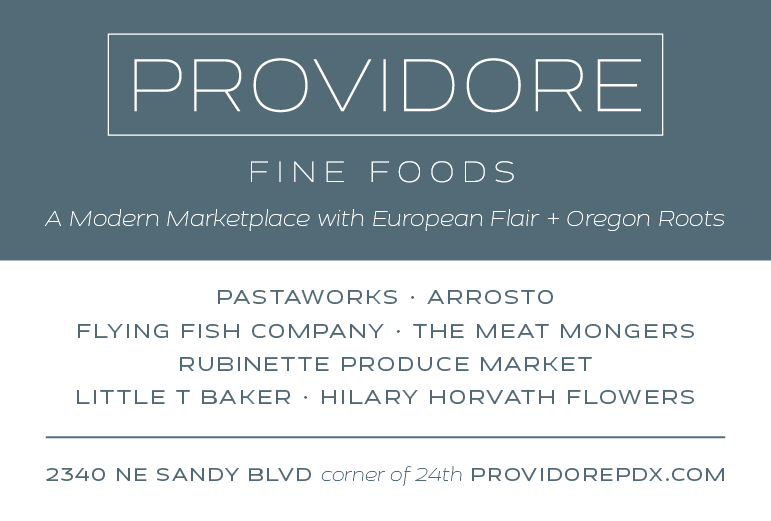 A couple of mains worth mentioning are a succulent pan-roasted chicken with a corn and zucchini salsa with cotija cheese and a red pepper vinaigrette, or a red wine-braised brisket on housemade Savoy cabbage kraut scattered with house-pickled rutabaga (not yet listed on the website menu). Talk about setting the bar; I was knocked out. I hope you will be, too! Details: Ecliptic Brewing, 825 N Cook St. 503-265-8002. Wonderful profile...as good as the beer and food at Ecliptic! Was wonderfully impressed on our single visit, and will be back to try more. Thx, Denise! Glad you concur.